Soo…. You’re having trouble finding talent for your production floor? Are you tapping and searching the entire workforce, or only half? 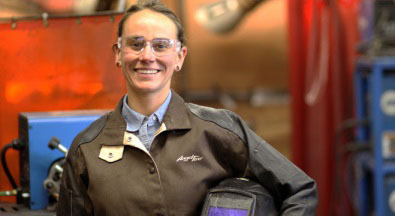 Some manufacturers are successfully solving their talent gap problem by recruiting women. Stories of women on the production floor in manufacturing are cropping up and they are fascinating.